﻿﻿﻿Lindblad Expeditions is introducing Vietnam and Cambodia to its portfolio in 2012, and is expanding its presence in West Africa and the South Pacific. The company also is partnering with the 58-passenger Sea Cloud to offer a new itinerary in Turkey and Greece. 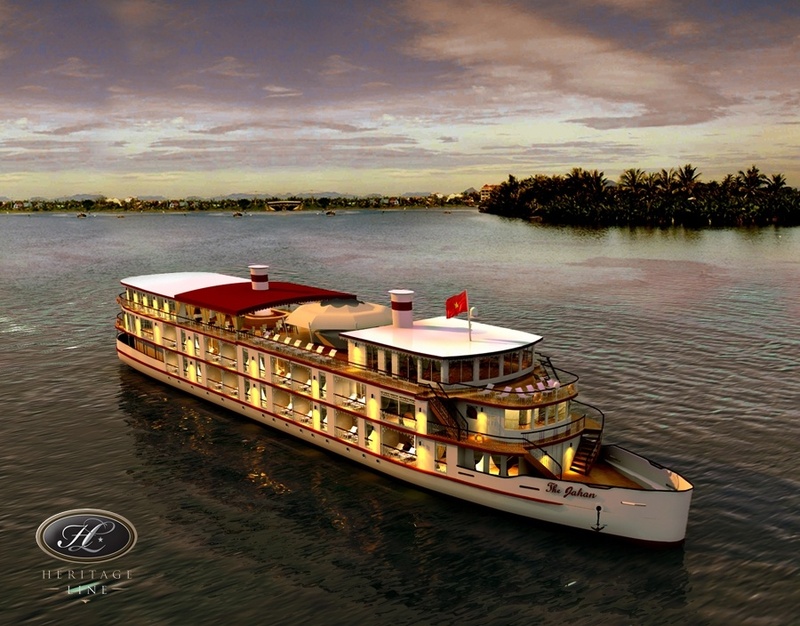 Starting next year, Lindblad will offer Mekong River cruises on the 48-passenger Jahan, a ship owned by Vietnamese company Heritage Line. The 14-day itinerary will include stops in Angkor Wat in Cambodia and Ho Chi Minh City, Vietnam. Rates start at $7,980 per person, based on double occupancy. The New York-based adventure travel operator is adding Mekong cruises at a time when the destination appears to be exploding with interest. 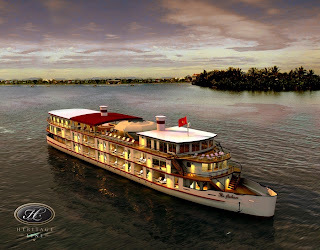 Ama Waterways, Viking River Cruises, Uniworld, Pandaw River Cruises and Pacific Delight Tours are among the companies offering Mekong cruises. The Mekong is one of four new itineraries Lindblad is offering for 2012, based on recommendations and feedback from past guests. Lindblad is also introducing the 37-day "West African Odyssey: Exploring from South Africa to Morocco." The trip will span 16 countries from South Africa to Morocco aboard the 148-passenger National Geographic Explorer. Rates begin at $28,480 per person, double. This year, Lindblad offered a West Africa itinerary that featured Senegal, Gambia, Western Sahara, Cape Verde and the Canary Islands, but the new program expands on that itinerary considerably. The new 16-day "Exploring the Cultures and Wildlife of Papua New Guinea" will take place aboard the 68-passenger Oceanic Discoverer and will include visits to the active volcano Tavurvur, the Trobriands, Sepik River and Rabaul. Rates begin at $14,790 per person, double. This won't be the first time Lindblad heads to Papua New Guinea, though it's an entirely new itinerary. The company cruises the Sepik River and Solomon Sea on the Melanesian Discoverer until 1994, and offered a land trip to the island country between 1997 and 1999. Lindblad has also partnered with the 58-passenger, four-masted Sea Cloud to offer the 10-day "Exploring Turkey & Greece: A Sailing Odyssey." The cruise includes stops in Istanbul as well as on the Greek islands of Santorini, Folegandros and Delos. Rates begin at $7,990 per person, double.